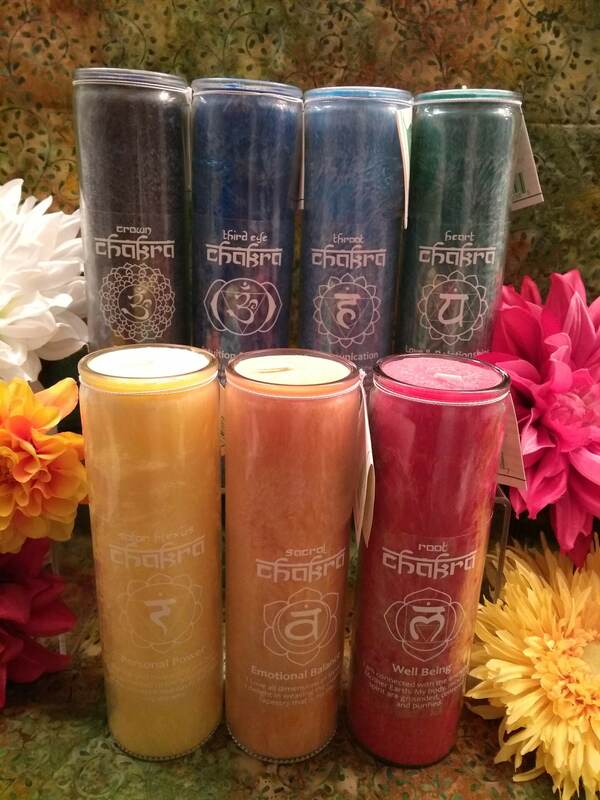 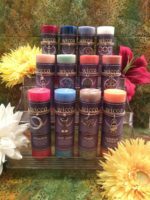 Chakra candles individually designed for each chakra. 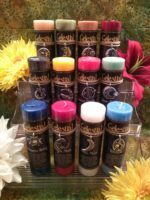 Colors have a swirl effect, burn for 100 hrs each, and are clearly labeled with each chakra’s correspondences. 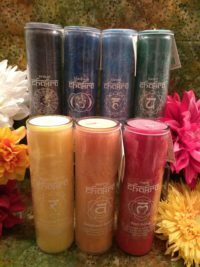 They also each come with a paper tag with further information for the chakra point. 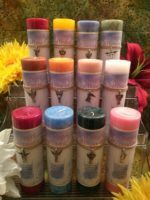 Eight inch tall glass pillar candles filled with 16 ounces of unscented palm wax, made in the USA, paraffin and lead free.